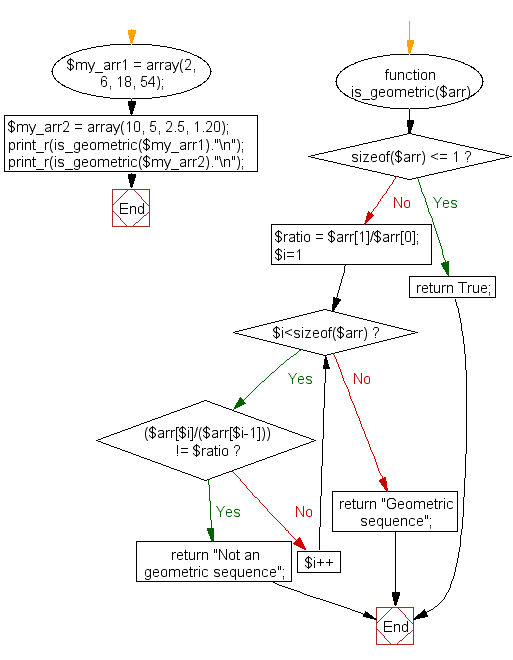 Write a PHP program to check a sequence of numbers is a geometric progression or not. 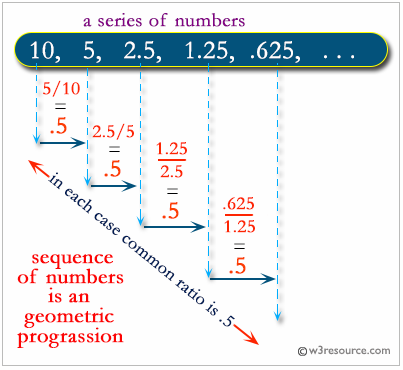 In mathematics, a geometric progression or geometric sequence, is a sequence of numbers where each term after the first is found by multiplying the previous one by a fixed, non-zero number called the common ratio. For example, the sequence 2, 6, 18, 54, ... is a geometric progression with common ratio 3. Similarly, 10, 5, 2.5, 1.25, ... is a geometric sequence with common ratio 1/2. 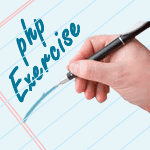 Previous: Write a PHP program to check a sequence of numbers is an arithmetic progression or not. Next: Write a PHP program to compute the sum of the two reversed numbers and display the sum in reversed form.